YEREVAN, OCTOBER 21, ARMENPRESS. The doctors estimate the condition of prominent Armenian actor Vardan Petrosyan as grave, but stable. 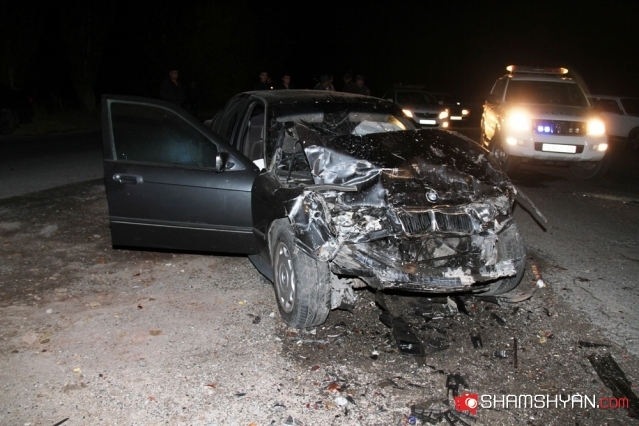 Vardan Petrosyan was hospitalized after a major car crash on the Yeghvard-Yerevan road in the evening of October 20. In a conversation with “Armenpress” the Head of Public Relations Department of “Erebuni” Medical Centre Shushan Hunanyan stated that the ambulance car took the popular actor to their hospital. Նշենք, որ «ԲՄՎ» մակնիշի ավտոմեքենայի ղեկին եղել է հայտնի դերասան Վարդան Պետրոսյանը: Ավելի ուշ կինոռեժիսոր Տիգրան Խզմալյանն իր ֆեյսբուքյան էջում գրել է. 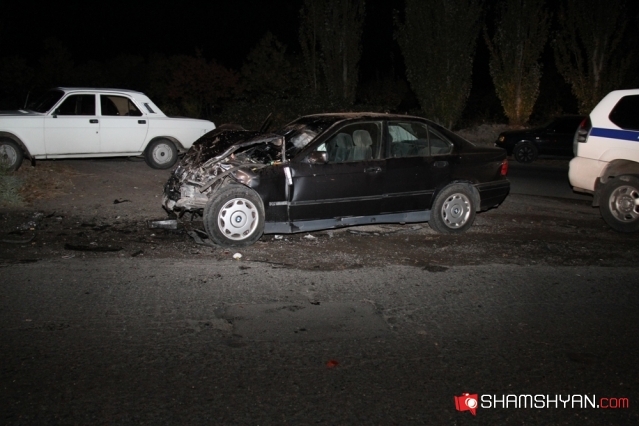 A BMW 320 car collided with a VAZ 2121 at the 2nd km of Yeghvard-Yerevan highway on October 20, 22:10 local time, sending the driver of VAZ 2121 and 6 passengers to hospital with injuries. One of the injured died in hospital. A criminal case was opened under Article 242 part 3 of the Criminal Code, police said. An investigation is being carried out. Renowned Armenian actor Vardan Petrosyan was driving the BMW. Հոկտեմբերի 16-ն էր ,երբ Գյումրու Վ.Աճեմյանի թատրոնում մասնակցեցի Վարդան Պետրոսյանի «Ամեն 2շաբթի» թատերական ներկայացմանը : Խոսքեր չունեմ ուղղակի ներկայացնելու ,թե ինչ ձևի տպավորված հեռացա դահլիճից : Մի մարդ,որը կարողացավ ոտքի կանգնեցնել մի ողջ դահլիճ,երգել տալով «Ով սիրուն» երգը : Նա ինձ համար մի ուրիշ մարդ է,բարձր որակական ու մարդկային արժեքներով : «Ամեն 2շաբթի» . . .
Հիշեցնեմ ,որ դեպքը տեղի էր ունեցել ԵՐԿՈՒՇԱԲԹԻ օրը,իսկ Վարդան Պետրոսյանի վերջին ներկայացումն էր «ԱՄԵՆ 2ՇԱԲԹԻ» : Նա իր վերջին ներկայացումով փորձեց ապացուցել,որ երկուշաբթին այդքան էլ վատ օր չէ,բայց այն չժպտաց հենց իրեն'Վարդանին : Երկուշաբթին փոխեց բոլորի կյանքը . . .
Sirts Tsavoum e te yeritasard Zoheri hamar yev te Vardan Petrosyani hamar.. ..
Դերասան Վարդան Պետրոսյանի Ֆեյսբուքյան էջում քիչ առաջ հայտնվել է այս գրառումը. 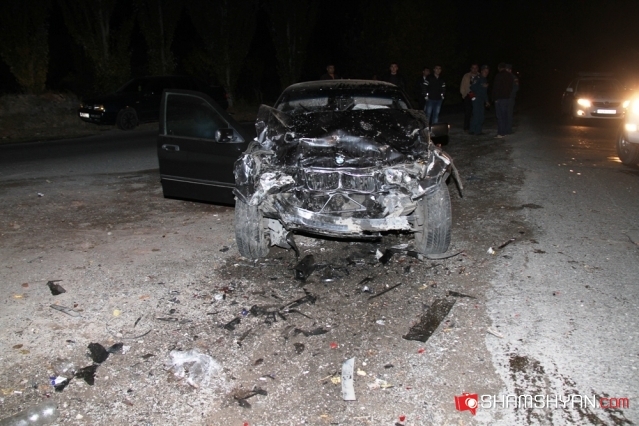 Actor Vardan Petrosian made comments on his Facebook page in connection with the October 20 road accident on Yeghvard-Yerevan Highway and the subsequent events. “I am asking everyone not to believe the disgusting slander that Vardan Petrosian was driving drunk or that he was driving 120, 160 and even 180 km/h. I want to ask those who spread lies, arouse hatred, and demand ‘justice’ and revenge to have patience until the investigation results are announced. 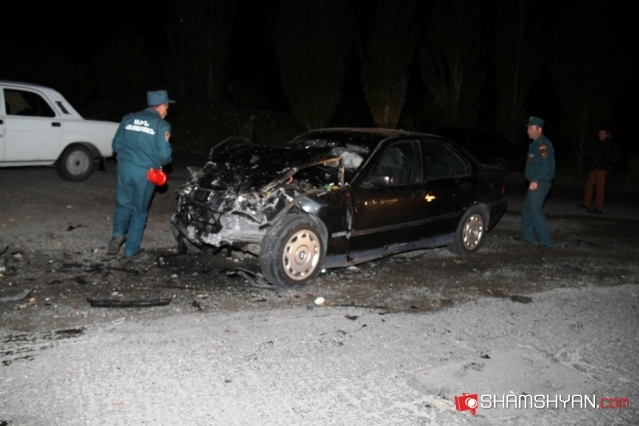 Vardan Petrosian’s family expressed condolences to the accident victims. Reporters! Be honest with yourself and do not violate the ethical rules of journalism”. 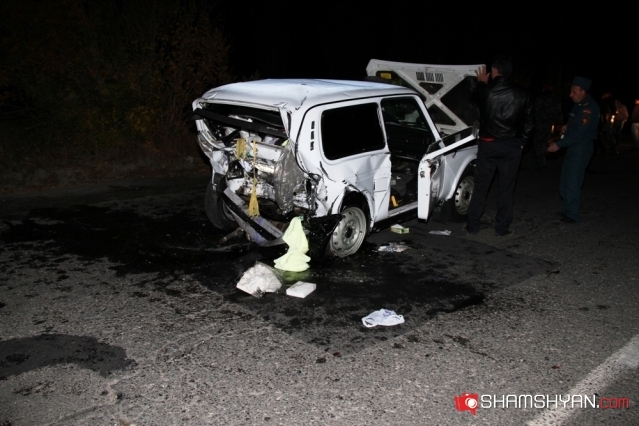 Let us remind you that Amenian Ministry of Emergency Situations (MES) received information at 10:22 pm on October 20 about a car crash on Yeghvard-Yerevan Highway. A rescue team of the MES was sent to the scene. 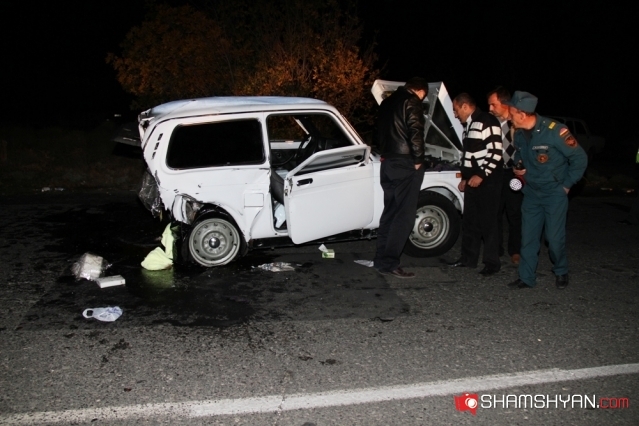 A VAZ-2121 and a BMW collided on Yeghvard-Yerevan Highway. Rescuer firefighters pulled V. P., 54 from BMW and A.H., 48, from GAZ-2121. Both received injuries and were taken to the medical center of the city of Yeghvard, later to Erebuni Medical Center in Yerevan. Doctors say A.H. was in fair condition, while V.P. was in serious condition. 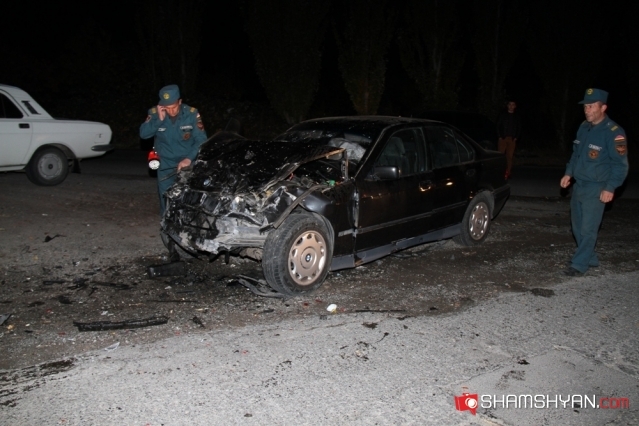 Two persons aged 19 and 16 were taken to Armenia Medical Center. At first doctors assessed their medical state as fair, but 16-year-old passenger of GAZ-2121 H. died on his way to hospital. 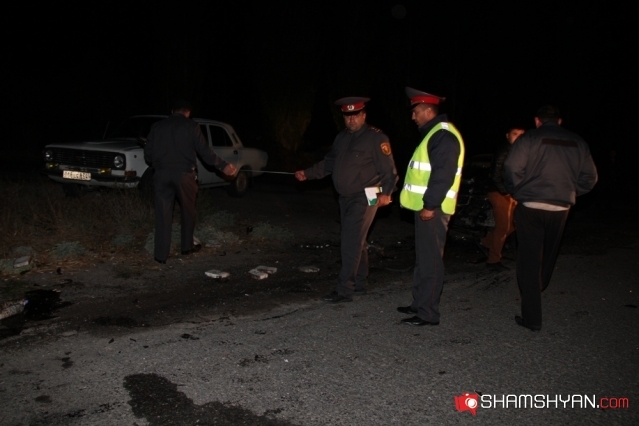 Another two people aged 43 and 21 were taken to Erebuni Medical Center, one of them was in fair condition, the condition of the 21-year-old was serious. The driver of BMW was famous actor Vardan Petrosian. Lurer.com-ին է դիմել Էդգարի քույրը' Մարինան, և խնդրել հրապարակել եղբորը նվիրած իր բանաստեղծությունը, որը ստորև ներկայացնում ենք.